Dennis demands loyalty from his staff - “You cut yourself, you bleed McLaren"
McLaren boss Ron Dennis has spoken out about the importance of loyalty in the wake of the departure of Lewis Hamilton to Mercedes and the ongoing discussions with technical director Paddy Lowe over his mooted move the same way. Lowe had been in discussions with Toto Wolff about a move to Williams, until the Austrian accepted a role as Director of Mercedes motorsport last month. Lowe has discussed a move to Mercedes with the key players there, as confirmed by Ross Brawn recently. Speaking at the launch of the new McLaren F1 car last week, Martin Whitmarsh said, “One certainty is that Paddy will be part of the team for another year. It's less certain beyond that. That is something that we will have some certainty on in the near future." Lowe’s contract is believed to run to the end of 2013. 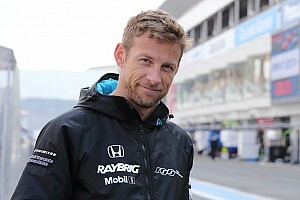 If he is to leave, he will not be part of McLaren’s 2014 planning and will probably be forced to go on gardening leave well ahead of 2014; this will hurt his knowledge of the 2014 technologies. "If they get the hosepipe and the lawnmower out, they can easily contribute to making the grass greener their side of the fence," he said. 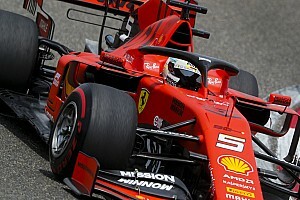 Dennis added that he has "moved on" from Formula 1, having handed the team management to Whitmarsh in 2009 and dedicated himself to the automotive group. The FT reports that the McLaren Group made pre-tax profits of £19.7m in 2011, up from £12.1m the previous year. Turnover for the whole group increased from £201.7m to £239.1m.